I know this, too, shall pass, but I am so sore that it’s impinging on my thrifting! Yesterday I popped into a thrift store on my way to a lunch date and tried to squat down to look at items on the lower shelves. Searing pain. Yikes I stood back up again. After that I would look at an item on the bottom shelf and think “Is that squat worthy? Worth the pain?” I decided NO on many things! Sadly after scouring the store for 40 minutes, I hardly found anything. 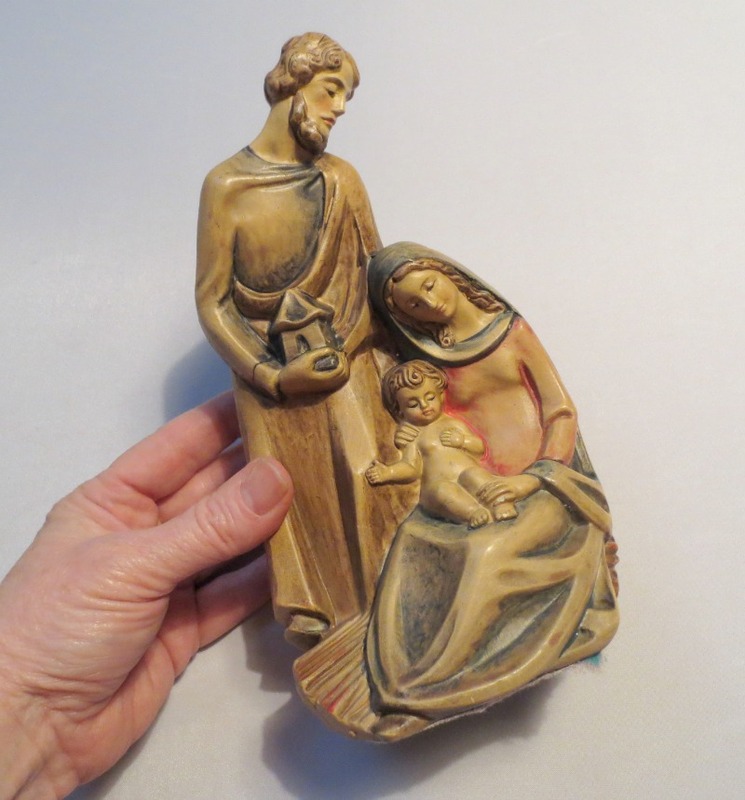 My best (and first find) was a vintage chalkware Mary, Jesus and Joseph statue. Love the muted colors on this. 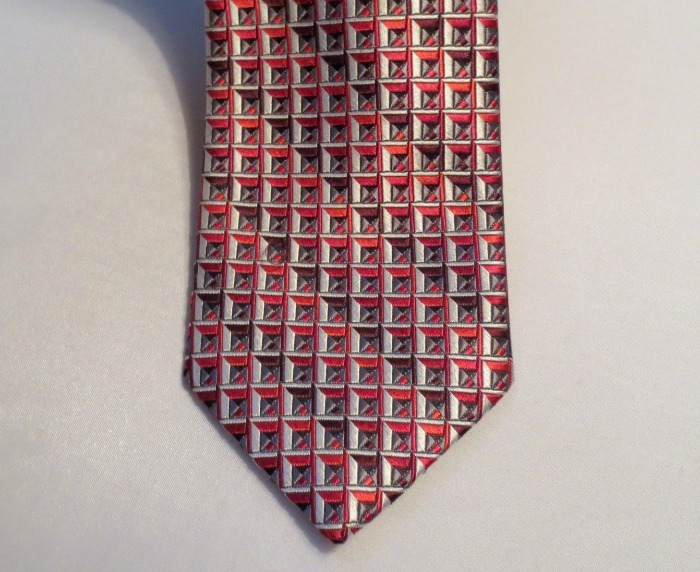 I’ve had some success selling men’s ties and thought this vintage Perry Ellis tie was nice…and thankfully not four inches wide! Then I bought something as an experiment. It’s not my kind of thing at all, but some people swear they do well selling things like this. 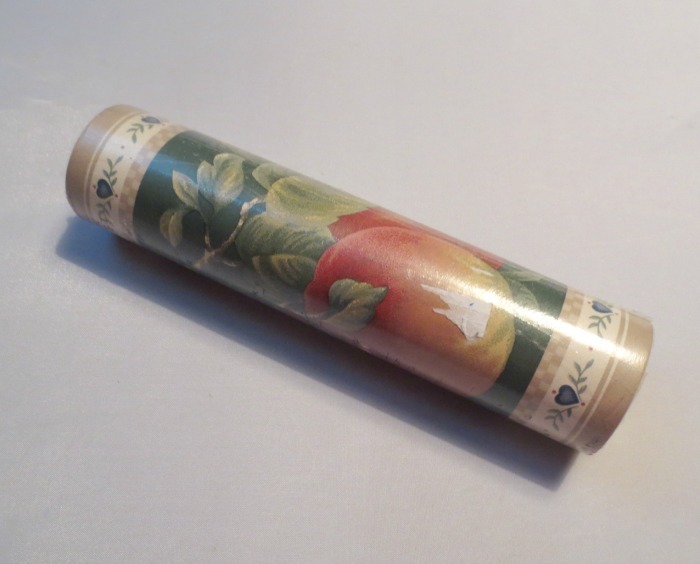 It’s a sealed roll of a vinyl wall border in a country apple pattern. Kinda goofy. I don’t know. It’s from England from a company (Rosedale Wallcoverings) that was bought out in 2003 so it’s likely vintage. We’ll see if anyone wants it! Today, I’m going to give my body a chance to recuperate a little. Maybe just do some gentle yoga stretches later on. 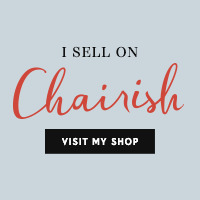 And definitely work on store stuff and listing more fun finds! Take it easy on your body! We need you to do our shopping for us! Do hope the pain goes away. Think of how healthy you’ll be!